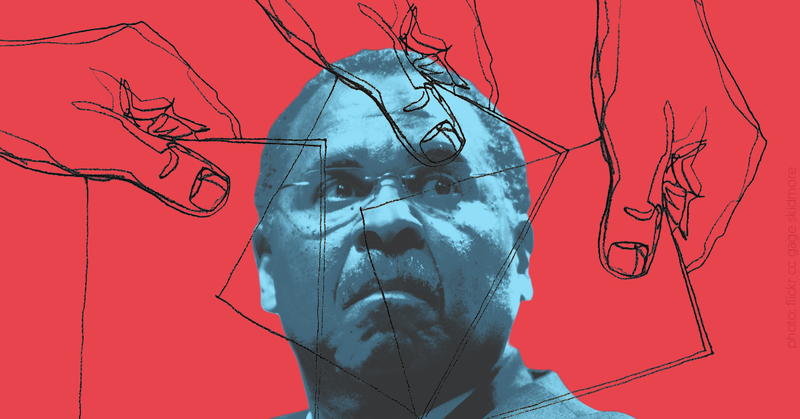 Former Ohio Secretary of State Ken Blackwell, a member of President Donald Trump’s voter fraud commission, has pushed fake news and false claims originating from fringe media and seems to rely at least partially on disreputable sources for news. On May 11, the Trump administration announced that it was forming a “bipartisan Presidential Commission on Election Integrity,” and listed Blackwell as one of its members. Blackwell, a conservative columnist, a senior fellow at the anti-LGBTQ hate group Family Research Council, and a board member of the National Rifle Association, has previously claimed that climate change concerns could lead to forced abortions, suggested gay marriage was the reason for a 2014 California mass shooting, and suggested that then-Attorney General Eric Holder was “clear[ing] the path for shariah law.” He has also lent credence to Trump’s false assertion that there is widespread voter fraud in the United States, saying the system creates “real potential for fraud” and that there may have been fraud in the last election. Since he was announced as a member of Trump’s commission, Blackwell has pushed multiple false allegations leveled by fringe media. 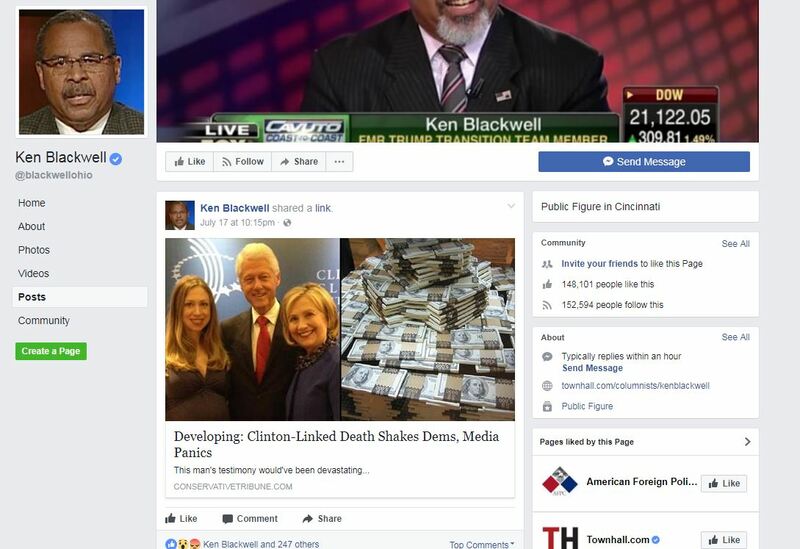 On July 17, he posted on Facebook a link to a story suggesting a connection between the Clintons and a deceased former Haitian government official. The fake news, which was first published by a fake news purveyor and was widely hyped by the fringe and pro-Trump media, has been debunked. 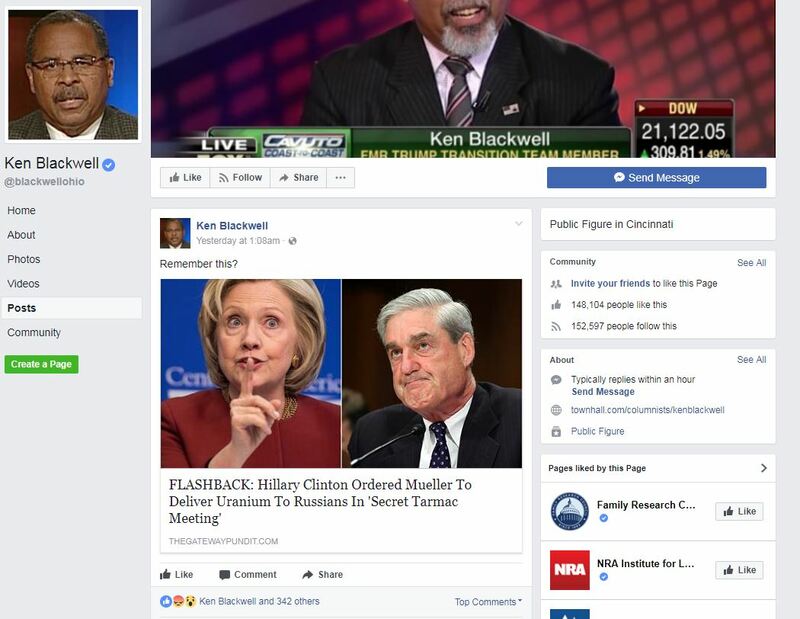 A week later, Blackwell posted on Facebook an article from fringe pro-Trump website The Gateway Pundit, which is regularly wrong in its claims, stating that former Secretary of State Hillary Clinton ordered Robert Mueller, now special counsel on the Russia probe, to give uranium to Russia in 2009. The claim, pushed by Gateway Pundit and fake news purveyors, suggests nefarious action even though the uranium had been seized from the nation of Georgia and held in U.S. custody and was being transported to Russia for forensic analysis with authorization from the Georgian government. Additionally, Blackwell has repeatedly posted articles from the fringe blog Conservative Tribune, an outlet that fact-checkers have repeatedly criticized for pushing false and misleading claims. The website has also promoted far-right troll Jack Posobiec’s dubious claim that former FBI Director James Comey violated the Espionage Act by releasing the memos he wrote about his meetings with Trump before the president fired him.